Among the Christians of the Middle East, the largest number - some eight million or so - is made up of Egypt's Copts. Since I first visited Egypt in the 1990s, I have been interested in this community and its contribution to pluralism. Copts are the indigenous Christian population of Egypt, who date back to the first decades following the life of Jesus Christ. The biblical Book of Acts tells how Jews from Egypt came to Jerusalem for the feast of Pentecost, a Jewish harvest festival that marked the birth of the Christian church merely weeks after Christ's crucifixion. Many of these Egyptians took the message of Christianity back to their own country. Christian tradition holds that St. Mark, one of the early disciples of Jesus, became the first bishop of Egypt. Today, Egyptian Christians make up approximately 5 to 10 percent of the Egyptian population. The word "Copt" is used for all Egyptian Christians. It is derived from an ancient Greek word that simply means "Egyptian." Copts live throughout every corner of Egypt and at every socioeconomic level. One of Egypt's richest men, Naguib Sawiris, is a Copt, and so are most of Cairo's garbage collectors, the zabellin. Though Copts are largely indistinguishable from the Muslim majority, many are given tattoos of a cross on their wrists as children, signifying their permanent commitment to the community. In addition, Coptic women are unlikely to veil, making them stand out from Muslim women. 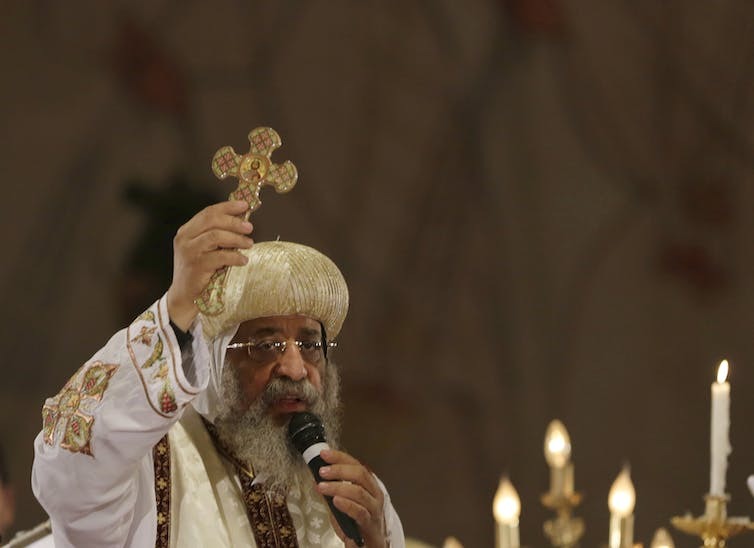 Pope Tawadros and all of the bishops of the Coptic Orthodox Church begin their vocation as monks - celibate men living in seclusion in monasteries. 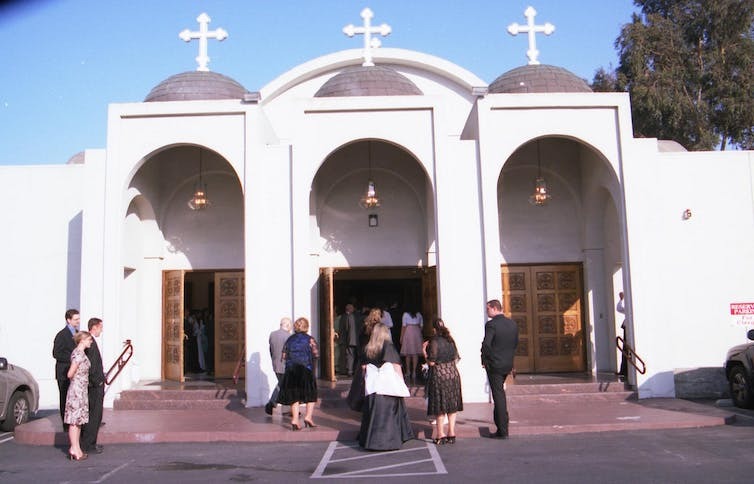 The Coptic Orthodox Church is unique in its preference for placing monks in the highest positions of authority. In fact, the world's first Christian monks, St. Anthony and St. Paul, established their monasteries in the eastern desert of Egypt in the early fourth century. Both of these monasteries, and numerous others, continue to operate. In his book "Desert Father," Australian author James Cowan describes how the monastic tradition became an important support for Egyptian Christians under persecution and helped to preserve culture throughout the Christian world. But while Copts may go to the deserts of Egypt for their religious practice, most live in the cities among their Muslim compatriots. Their churches and community service organizations - and even Coptic news sites and media - contribute to the vibrancy of Egyptian social and intellectual life. However, their aspirations were dashed when the Egyptian Armed Forces clashed with Coptic protesters in a deadly confrontation in October 2011. When subsequently the Muslim Brotherhood came to power in 2012, there was an attempt to push through a constitution that gave special powers to Islamic authorities. 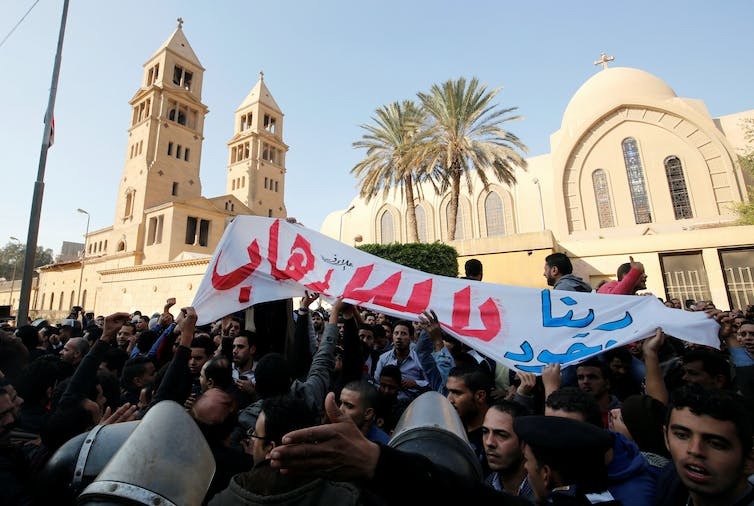 These developments seemed to undermine Copts' ability to participate as equal citizens. Paul Rowe is a Professor and Coordinator of Political and International Studies, Trinity Western University. This article was first published in The Conversation. Read the original article here.